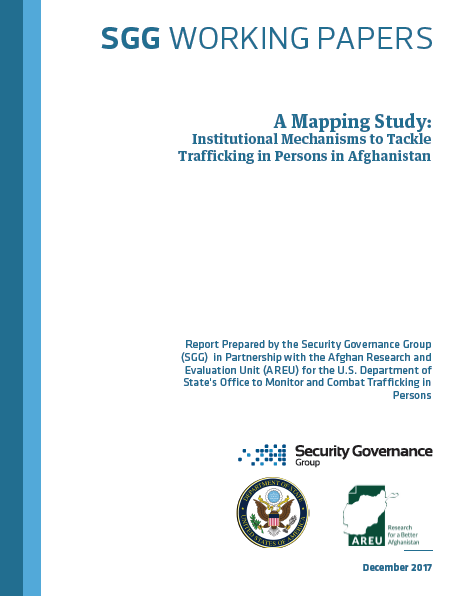 The international community, in partnership with the Afghan government, has devoted significant resources to combatting human trafficking in Afghanistan. This funding and attention has generated some significant gains, including the passing of new anti-trafficking legislation, the launch of awareness-raising campaigns, the provision of specialized training for government officials and the expansion of support services for victims. However, it has become clear in recent years that these projects will produce little meaningful change unless they are complemented by efforts to greatly improve the performance of key Afghan government institutions, such as the Ministry of Interior Affairs, Ministry of Justice, Supreme Court and Afghan Border Police. While some internationally funded initiatives, such as one program of the International Organization of Migration, have dedicated some attention to security and rule of law institutions, massive shortfalls in capacity persist. However, this research was conducted in 2015-2016 and therefore some findings are no longer applicable. For the latest updates, please refer to this policy note at: https://areu.org.af/archives/publication/1803.